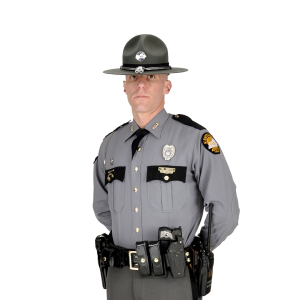 Edmonton, KY (April 8, 2019) – On April 7th, 2019 at approximately 4:41 PM CST Trooper Ricky Cross was on routine patrol 12 miles southwest of Edmonton when he attempted to initiate a traffic stop on a Nissan Altima for a traffic violation. The driver of the Altima began to flee on KY 163, turning on and off several back roads before exiting the vehicle and running on foot. After a short foot pursuit, Trooper Cross was able to locate and arrest 38 year old Nathan Pruitt of Edmonton. Pruitt was charged with DUI 2nd degree aggravating circumstance, fleeing or evading police (motor vehicle) 1stdegree, wanton endangerment 1st degree (police officer), fleeing or evading police (on foot) 2nd degree, operating on suspended or revoked license, and resisting arrest. Pruitt was lodged in the Barren County Detention Center.